Google WiFi is now available for pre-order, so it makes sense that Google would want to talk about how awesome they think it is, especially when compared to the original players in this smart modular WiFi category. To start, Google matched Google WiFi up head-to-head with Eero and Luma by asking third party testing company, Allion USA, to see how they match-up in terms of download speeds. As you can probably imagine, since Google posted about the battle, the results show that Google WiFi is the clear winner. According to Google, Allion USA took two units of each system (WiFi, Luma, and Eero), placed them within a 3,000 square foot, two story house, and ran a series of speed tests (over 60 of them) in four locations. Google WiFi showed the highest speeds in all locations. The test results are below. 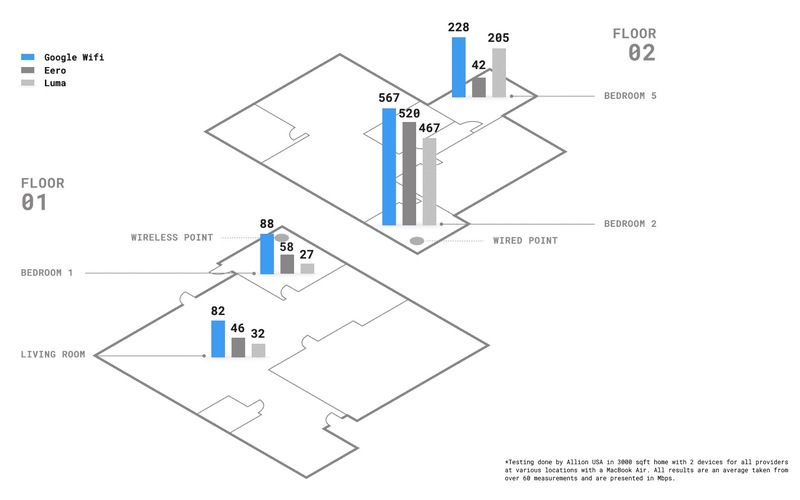 They show speed tests for devices directly wired to router units, devices that were likely connected to a wireless point, and some that were a safe distance from both. 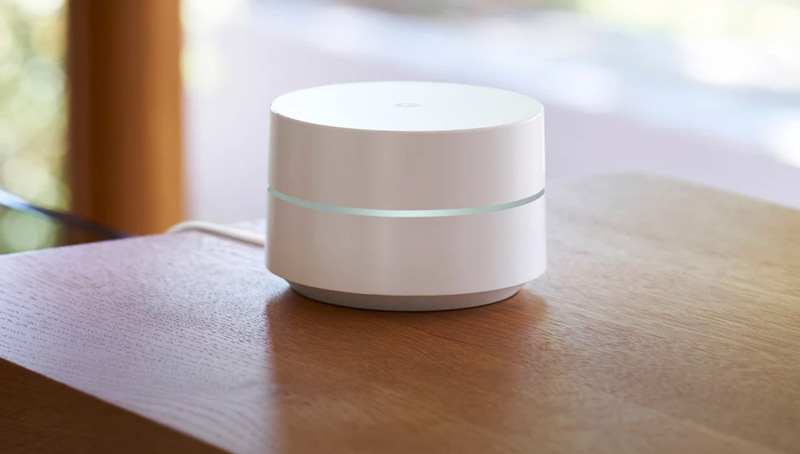 Google says that Google WiFi outperformed Eero and Luma because they “built it from the ground up to provide fast Wi-Fi in every room.” I’m sure Eero and Luma also built theirs from the ground up, but Google says theirs differs because they packed in “high-gain antennas along with powerful amplifiers that make the signal stronger and father-reaching.” Either way, these are early tests done before any of us can do any of our own testing. One thing I will say is that now is a great time to be in the market for a home WiFi solution. Not only are routers becoming more powerful, but these mesh network-style solutions that allow you to stretch your WiFi across a house are the future. They help your network grow as you need it to at affordable prices, but they also are backed by companies who are serious about improving them all of the time. Google WiFi will improve with updates, just like Eero does. In fact, we just wrote about the massive update that Eero pushed out last week. The decision to jump into one of these right now is going to be a bit tricky. Google WiFi is the cheapest of the three at $299 for a 3-pack or $129 for a single unit, but is unproven. Luma has similar prices and is well-reviewed for the most part. Eero is the most expensive and most well-known at $499 for a 3-pack. However, for Black Friday, they are cutting $100 off.